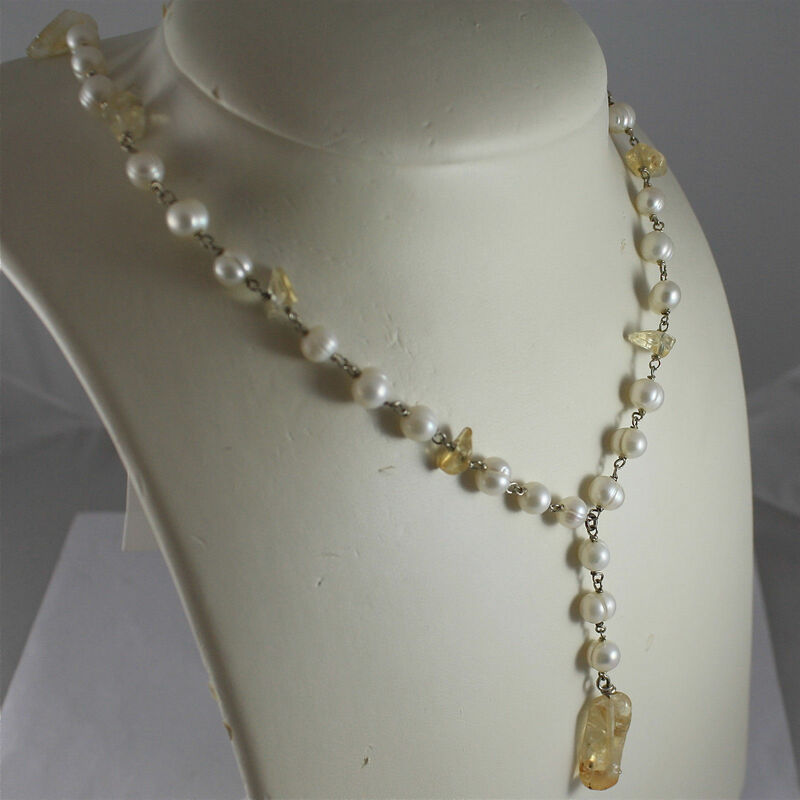 This item is selling for $170.00 on eBay. 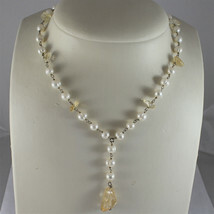 RHODIUM SILVER NECKLACE, WHITE BAROQUE PEARLS, YELLOW CRACK CRYSTALS, ROUND MESH. 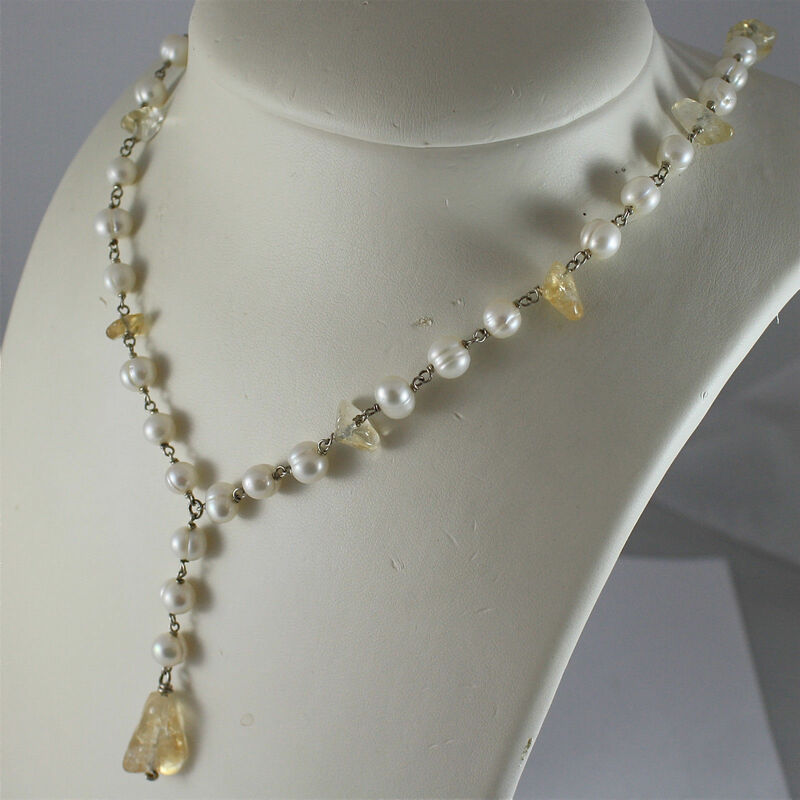 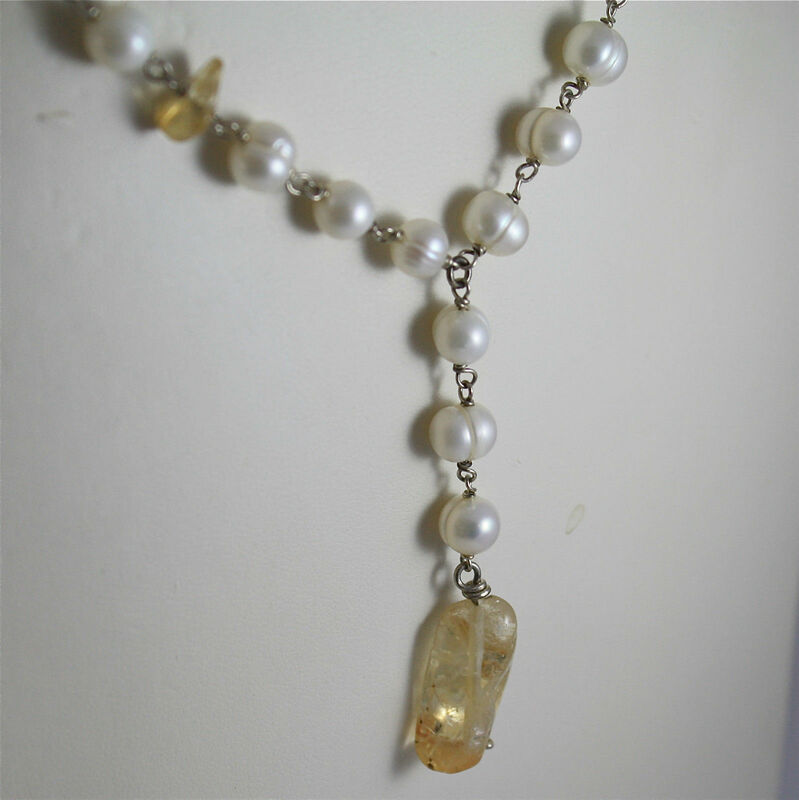 This is a beautiful necklace made with .925 sterling silver with round mesh, white baroque pearls and yellow crack crystals.
. Stones: White Baroque Pearls, Yellow Crack Crystal.